It was time to clear some space in my sewing room dresser…so this little quilt finally caught a break and was finished. I made this quilt 2 years ago for a tutorial (you can find the tutorial here)…and now I can finally donate it and find it a home. Days like this I’m thankful for quick finish projects that give me a little time to myself. Because this cute little girl is a whirlwind!!! She's growing up so fast! Too cute! Darling quilt, so cheery! yeah, that little one looks like a handful. :-)) How cute! Great finish, I really need to make one of these! such a cute little girl, mine are a bit older 41 snd 37! Quilt very nice and checked out your tutorial, will have a go and make a block to add to my stash I am building up as I learn to make the various blocks. Great choice on the backing!!! So.much.fun. What an adorable quilt. She's so BIG!!! How'd those trick or treat bags turn out? I remember the days when every drawer and cupboard had kiddie locks on them, and everything else was up out of reach. I bought your book and it arrived yesterday – I already have some fabric lined up for some of the projects… love it! Oh my goodness! Would you look at her!! So cute! I looked at your family photo on my fridge from last Christmas and cant get over how fast time has gone! :0) Those days go by way to quickly! Such a sweet finish and an even sweeter whirlwind! You are such a good Mommie. And quilter! 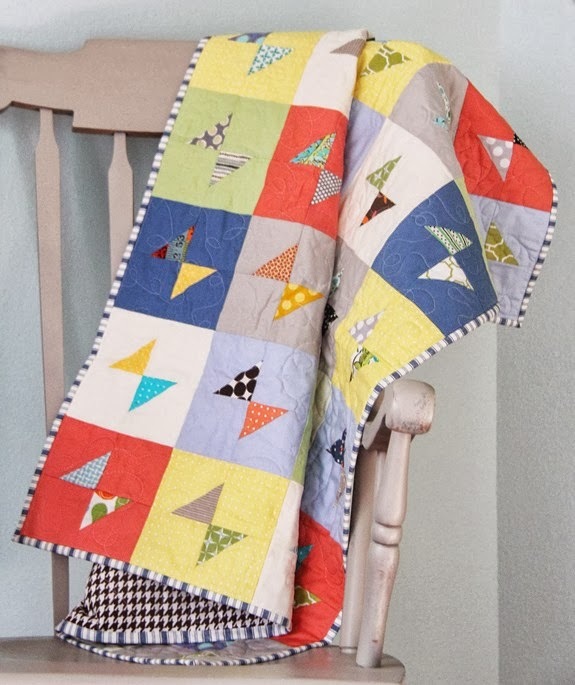 I love the bright colors in this quilt! 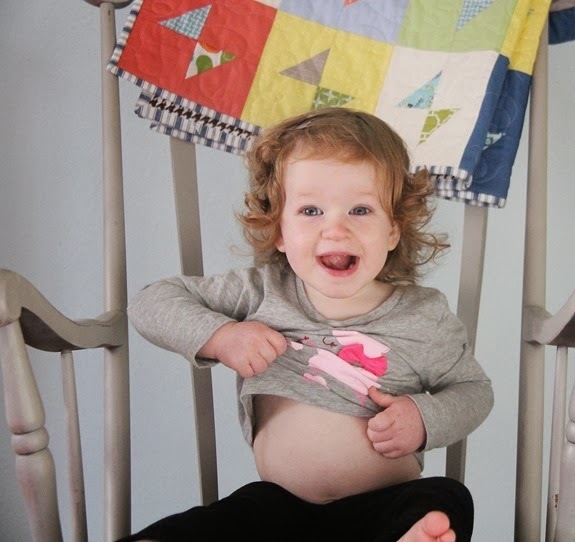 Adorable quilt and such a precious little one who is really growing too fast!! I bet she does keep you busy! :) Have a great weekend! wow – what a wonderfull quilt! Congratulations. 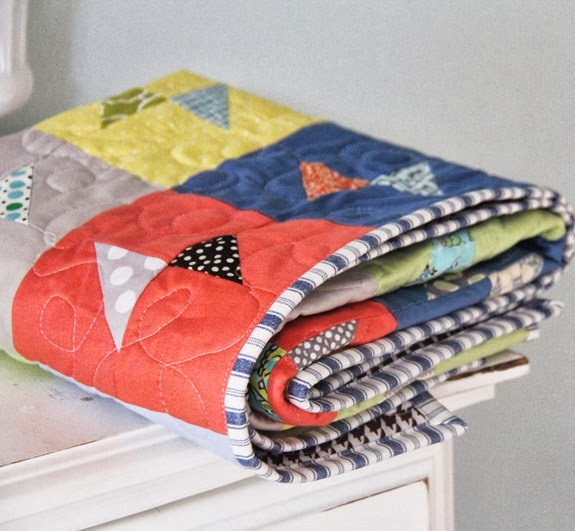 Congrats on the quilt finish, it is super cute! I think I need to make one like that! OMG, talk about whirlwinds! I totally forgot about this stage of toddlers. I am getting nothing done and I'm pooped. Precious baby…and quilt! I love your colors. And I can relate to the kiddo-who-empties-drawers thing!